The following summary reflects the various laws are on the sale and use of less-lethal spray weapons. 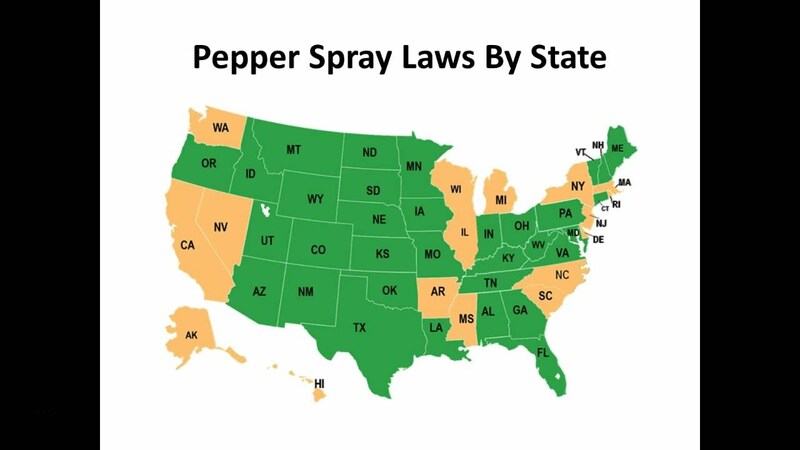 There are also some states that will prevent the use of pepper spray, while others require that you have a FID (Firearms Identification Card) to own or use the spray. To be on the safe side, you should always check with local state regulations before you purchase any form of self defense product, such as pepper spray. Do you want to learn about the 3 types of self defense, the best self defense weapons and your mental state during a threatening situation?? 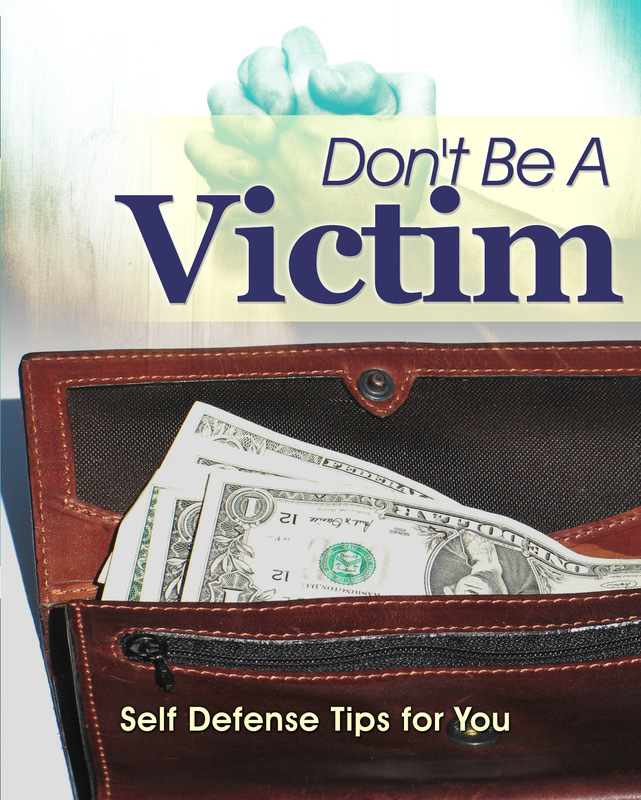 Click here to read: The Ultimate Self Defense Guide! All in all, pepper spray is a great self defense tool. It can also be a deadly weapon if it isn’t used properly. Whenever you carry pepper spray, you should always follow the safety precautions and rules of the spray. If you use it for self defense purposes and know how to properly use it - you can enjoy the confidence and security that it provides. This report is not intended to take place of legal counsel nor should it be looked at as being any form of legal advice. Please check with your local authorities to obtain the latest information and remember that Federal law prohibits the carrying of any type of chemical weapon on commercial aircraft, in federal buildings, prisons, and courts. Alabama- No state law prohibiting or regulating a defensive aerosol spray product. Alaska- No laws regarding the sale, purchase and legal use of non-lethal spray weapons. Arizona- No laws regarding the sale, purchase and legal use of non-lethal spray weapons. Arkansas- No laws regarding the sale, purchase and legal use of non-lethal spray weapons. California- It is legal to sell, purchase, and legally use tear gas or pepper spray containing up to 2.5 oz of product. Certificates of training are no longer required. 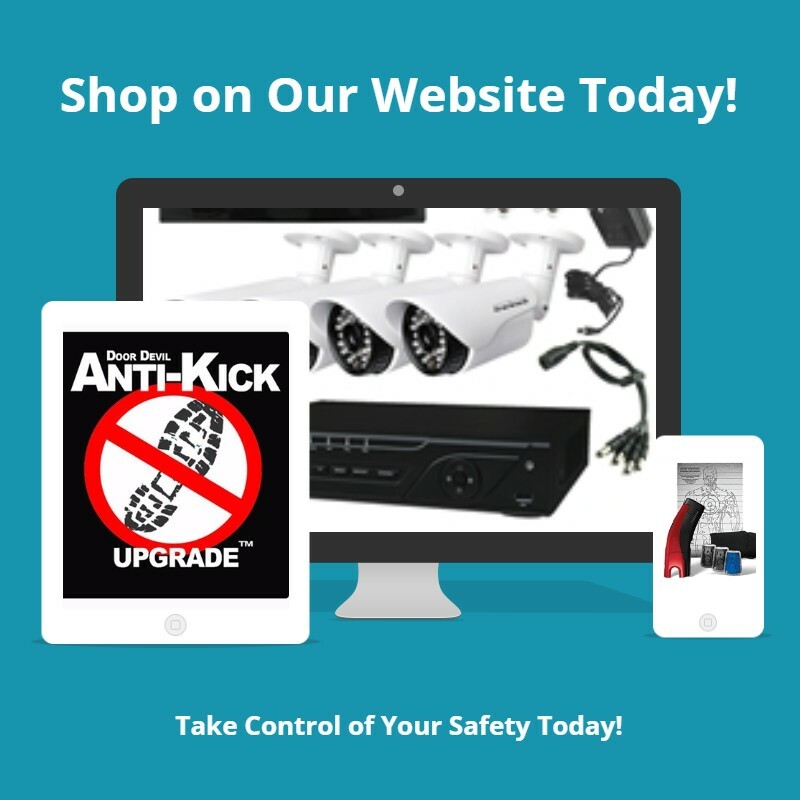 Products are not permitted for sale to felons or minors. Product packaging must meet standard Dept of Justice requirements. Colorado- No laws regarding the sale, purchase and legal use of non-lethal spray weapons. Connecticut- State law is not specific about the classification and sale of any defensive aerosol. Anyone can purchase and carry a chemical spray product at the present time. Delaware- No laws regarding the sale, purchase and legal use of any non-lethal spray weapons. and the vendor must forward the form to the Metropolitan Police Department. Florida- It is legal to sell, purchase, and legally use any chemical non-lethal spray weapon containing upto one-half ounce of product. It is illegal to sell to persons under the age of 18. Georgia- No laws regulating the sale, purchase and legal use of non-lethal spray weapons. Hawaii- There is no state law regarding the sale or possession of non-lethal spray weapons, but the City and County of Honolulu and the county of Hawaii have possession law except for those people who obtain a permit from that County's chief of police. Idaho- Does not restrict or regulate the sale of non-lethal spray products but certain uses are prohibited. Illinois- No laws regulating the sale, purchase and legal use of non-lethal sprays. Iowa- No laws regarding the sale, purchase and legal use of non-lethal sprays. Kansas- No laws regarding the sale, purchase and legal use of non-lethal spray products. Kentucky- No laws regarding the sale, purchase, and legal use of non-lethal sprays. Louisiana- No laws regarding the sale, purchase, and legal use of non-lethal sprays. Maine- No laws regulating the sale, purchase and legal use for defending persons and premises. Maryland- No state laws against the sale of tear gas or OC products but it is prohibited to carry tear gas openly with the intent or purpose of injuring a person. Massachusetts- Any person wishing to sell or carry a tear gas product over 1 oz must obtain a license and a full weapons permit from a chief of police or commissioner of public safety. Michigan- Maximum allowable strength for OC or CS product is 2%. No CN products or sales to minors allowed. Minnesota- A person may sell, possess and use CN, CS, and OC products only if they are propelled from an aerosol container that is labeled with clearly written instructions on use. They cannot be sold where intoxicating liquor is sold. Some counties may elect to impose licensing requirements. Mississippi- No laws regarding the sale, purchase or use of sprays for self-protection. Missouri- No laws in effect forbidding possession or sale of non-lethal spray products. Montana- No laws regarding the sale, purchase, and legal use of non-lethal spray weapons. Nebraska- No laws prohibiting or regulating tear gas type products. Nevada- Permissible to possess aerosol spray irritants with active ingredient levels of 2% or less. Washoe County and City of Las Vegas require training and permits. New Hampshire- No laws regarding the sale, purchase, and legal use of non-lethal spray weapons. New Jersey- Permissible to sell, possess and legally use 3/4 oz. or less by anyone for personal protection. New Mexico- No laws regarding the sale, purchase, and legal use of non-lethal spray weapons. New York- Maximum allowable strength for OC or CS product is 7%. Authorized retail sales of a self-defense spray are Dealers in firearms and licensed Pharmacists. This does not apply to wholesale distribution between a manufacturer and a retail vendor. North Carolina- Any individual who has not been convicted of a felony can purchase for use for protection a tear gas product not exceeding 50 cubic centimeters in volume. North Dakota- Any spray or aerosol containing CN, CS or other irritating agent can be carried without a concealed weapons permit except in gaming and alcoholic beverage establishments. Ohio- No laws regarding the sale or purchase of non-lethal spray weapons. 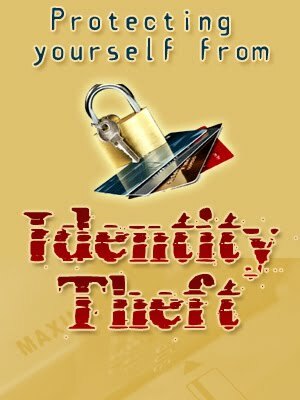 The only law on use is that it is criminal mischief if used to interfere with the use or enjoyment of property of another. Oklahoma- No laws regarding the sale, purchase, and legal use of non-lethal spray weapons. Oregon - No laws regarding the sale, purchase and legal use of non-lethal spray weapons. However, Portland has a city ordinance which prohibits the possession and use of a tear gas dispensing device. Pennsylvania- No specific laws or regulations concerning the sale, purchase or legal use of non-lethal sprays. Rhode Island- No laws regarding the sale, purchase, and legal use of non-lethal spray weapons. South Dakota- No statutes or regulations concerning the sale, purchase, and legal use of chemical sprays. Tennessee- No laws regarding the sale, purchase, and legal use of aerosols, gases, etc. Texas- A small chemical dispenser sold for personal protection is exempt from their weapons laws. Utah- No prohibition against the use of chemical aerosol sprays as long as the product does not cause death or serious bodily injury. Vermont- Statutes do not regulate or prohibit the sale of any aerosol spray used as a defensive weapon. Virginia - No laws regarding the sale, purchase and legal use of non-lethal spray weapons. Washington- No laws regarding the sale, purchase and legal use of non-lethal spray weapons. West Virginia - No laws regarding the sale, purchase and legal use of non-lethal spray weapons. Wisconsin- Sale, possession and use of chemical aerosol spray by other than law enforcement officers and members of the military in the line of duty is a felony. Wyoming- No laws regarding the sale, purchase and legal use of non-lethal spray weapons.